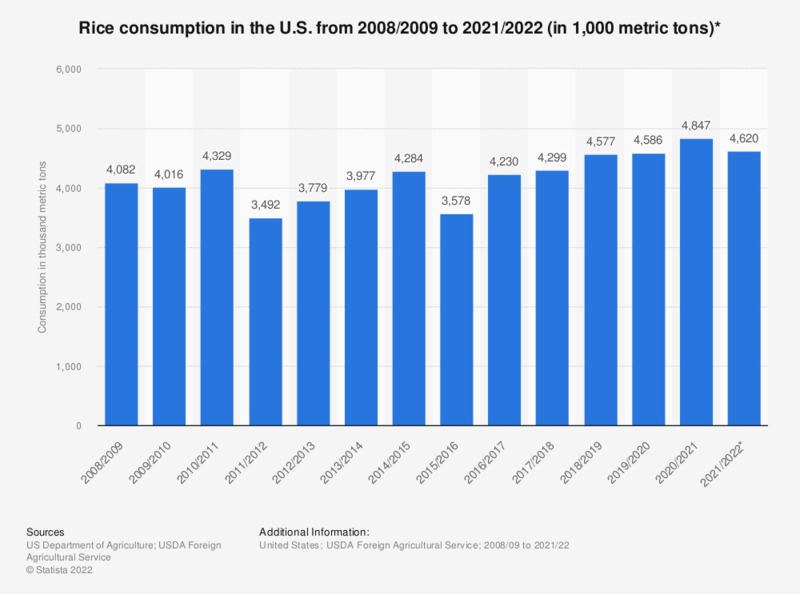 This statistic shows the total amount of rice consumed in the United States from 2008/2009 to 2017/2018 and provides a forecast for 2018/2019. In 2017/2018, some 4.28 million metric tons of rice were consumed across the country. In that year, China was the leading consumer of rice worldwide. * All data are reported on a milled basis. Residual included. Everything On "Rice" in One Document: Edited and Divided into Handy Chapters. Including Detailed References.